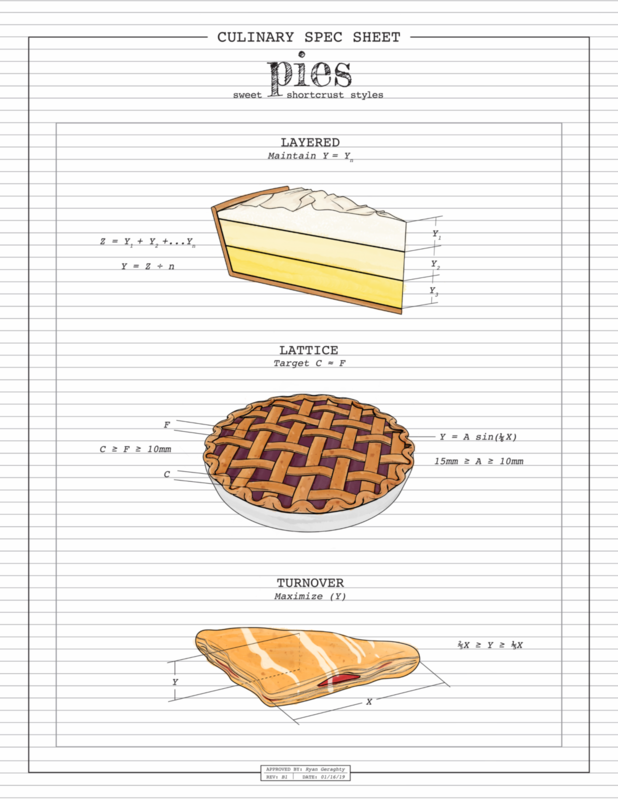 Hybrid illustrations of technical drawings and recipe watercolors. 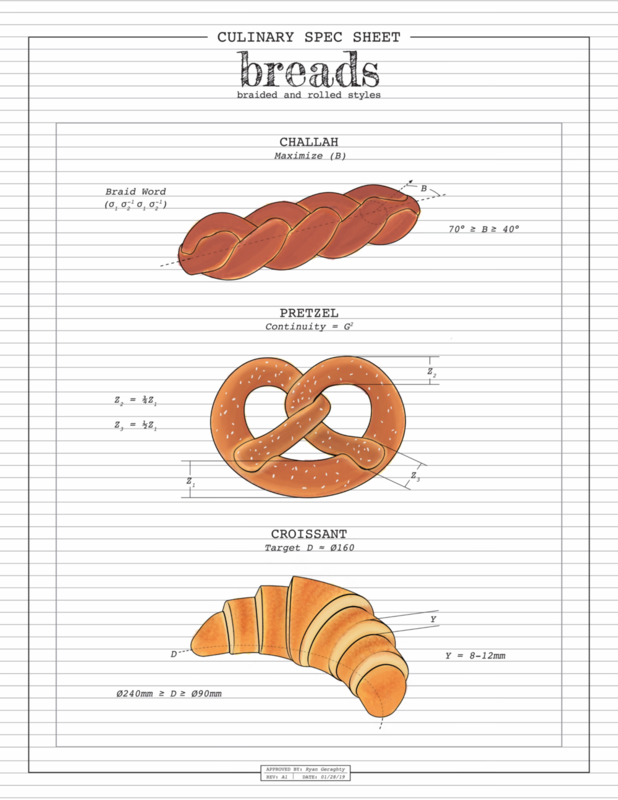 Each set selects geometrically unique styles of each food category and provides mathematically driven guidelines for creating the optimal version. French fries are my favorite food and thus I have strong opinions about the ideal version of each fry. The success of most fries depends on the ratio of surface-area-to-volume available to fry. Process: Modeled in Solidworks, rendered in a black & white "toon" style, and digitally watercolored using Sketchbook Pro. In stark contrast to the longer styles, short and shaped pastas have quite intricate geometric elements. The best of these achieve a modest thickness and an appropriate spacing of features. Arguably some of the hardest foods I’ve yet to model – the challah in particular took lots of experimentation. There is significant attention put into the appearance and form of these breads in a way that is not emphasized on other foods. There is a huge variety of donut styles and shapes across the globe, but – for the vast majority – success hinges on finding the goldilocks zone of size and density. While the main feature of a pie is hidden within the crust, how you give a hint to the contents is crucial. The filling may drive enjoyment, but it’s pointless unless it looks appealing in the first place. A cake is as much a treat for your eyes as it is for your stomach, so if you’re not writing “Happy Birthday” on it, it has to be eye-catching in some other way. The key to a good cake, no matter the style, is balancing the frosting/icing/glaze with the cake body.